FAMOUS ACTIVIST ERIN Brockovich has offered her help to the families of the students killed in the Berkeley balcony collapse. The environmental activist, who was played by Julia Roberts in a film about her work, has said she is ”available to meet with and assist the families, and to advocate for them to find a non-litigious solution in the coming weeks”. It comes after a preliminary report into the balcony collapse concluded that the wooden beams of the balcony had been badly rotted by water damage. Brockovich has partnered with a Dublin-based solicitors, Phelim O’Neill, to facilitate families who require any support or assistance. In a lengthy Facebook post the activist said, “The company behind the construction of the Berkeley apartment block should take action to ensure that the families of those involved in the balcony collapse disaster are not left with enormous medical bills as a result of the faulty construction. Some of those injured would require extensive care before being able to return home and that it was essential that families did not face what I consider as the “additional nightmare of mounting medical bills”. Today was the second day of funerals for the six students who lost their lives on the J-1 trip. Eimear Walsh and Eoghan Culligan were laid to rest yesterday while the funeral of Olivia Burke and Niccolai Schustertake took place today. Olivia’s father, Paul Burke, paid tribute to his daughter in the church, stating that today was to be a celebration of her life. In her post Brokovich added, “As a Californian, I am devastated that these young visitors to our shores were caught up in this horrific situation. The waking nightmare that these families have been living for the past week is hard to imagine, and no words from me or anybody else can ease their pain. “However, as a lifelong activist, I feel it is my duty to come forward and offer these families my assistance. For those who did not survive the accident, there is a need for us to uncover the truth about what happened. For those who did survive, there is a pressing need to ensure that the company responsible for this tragedy is held to account. “It is their duty, I believe, to ensure that the treatment of those who were affected is paid for, and that they are not burdened with the costs of this disaster as well as the trauma associated with it. The activist added that she is available to the families and left contact information on her Facebook post. 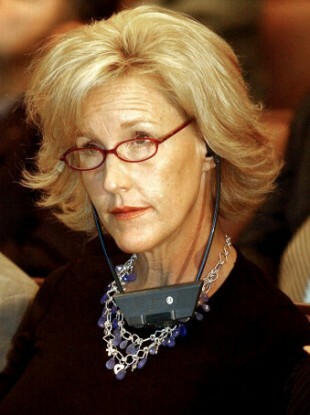 Email “Erin Brockovich tells Berkeley families it's her "duty" to offer them assistance”. Feedback on “Erin Brockovich tells Berkeley families it's her "duty" to offer them assistance”.